Reeves County Hospital District LAB is a CLIA certified and COLA (Commission on Laboratory Accreditation) accredited laboratory composed of professionals that are nationally certified by ASCP or AMT. The laboratory offers comprehensive clinical and anatomic pathology services such as chemistry, hematology, serology, urinalysis and blood banking for inpatient and outpatient. The department utilizes the latest state of the art clinical laboratory analyzers such as the Ortho Clinical Diagnostics Vision analyzer for the blood bank which is fully automated, walk away system and Vitros 5600 which is a fully integrated chemistry analyzer. We also use the Beckman Coulter DXH 600 hematology analyzer for Complete Blood Count, ACL Elite for coagulation and the Iris IQ 200 Select for our automated Urinalysis testing. The department is fully computerized and interfaced with remote workstations throughout the hospital. 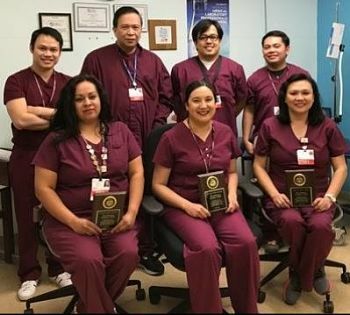 The laboratory department was awarded the COLA Laboratory Excellence Award for 2009-2010, 2015-2016, and recently for 2017-2018, which is the highest commendation earned by meeting and/or exceeding national benchmarks of quality. COLA is a national healthcare accreditation organization approved by the federal government and sponsored by the American Academy of Family Physicians, the American Medical Association and the American College of Physicians.